I have often bemoaned the fact that I own very few "good" pieces of makeup. I know that some budget brands are just as good, if not better, than the pricier ones, but sometimes I just need a big splashy treat. This was one of those times. I figured that if I didn't go near Penneys for a few months, I could buy one or two high-end bits instead. So that's what I did. 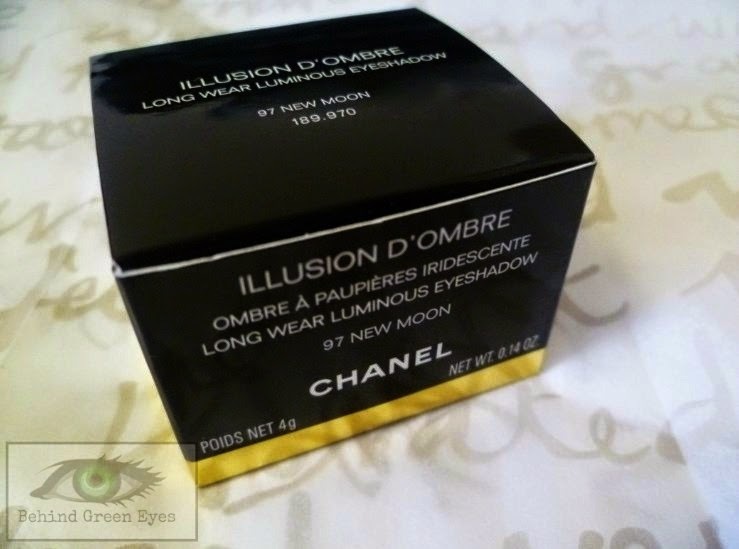 Given the absence of a Chanel counter in Longford (as far as I'm aware), I took to the Boots Ireland website and had a look at the Illusion d'Ombre shades. Unfortunately, as with every other time I've tried to order from it, my order wouldn't go through and the site crashed. So I clicked on the Brown Thomas website instead and chose the shade New Moon. 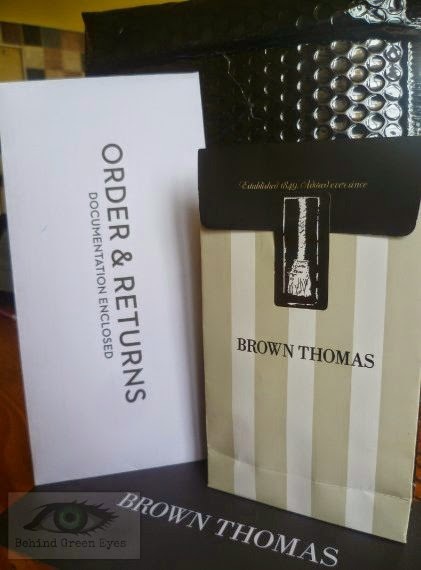 Can I just say, Brown Thomas, my GOD you are good. The packaging was just gorgeous, and it was a joy to open. Delivery only took 2 days, and it came by regular post too, which was brilliant. The little pot contains 4g of product (it's a creamy, bouncy consistency), and comes with a brush. The brush comes in two pieces that you screw together, as seen above. I also dipped it in the pot before I took a photo. Bad blogger. 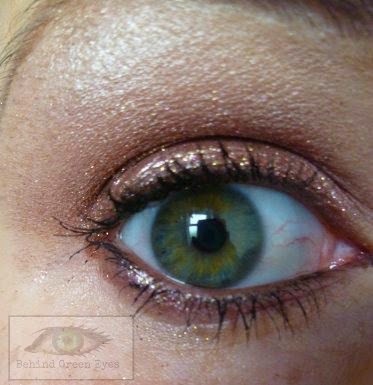 It's stunning, and very pigmented. A little goes a long way. I didn't use the brush much - I actually much prefer to apply this with my fingers, but if anyone has a better idea, throw it at me! 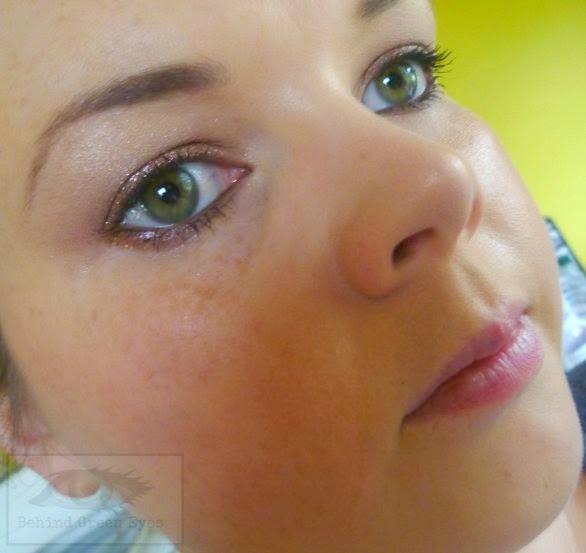 Here are a few swatches of it in action, mascara is Essence Lashes Go Wild (my new daytime favourite) and a brown Paese liner. It's long-lasting, too. 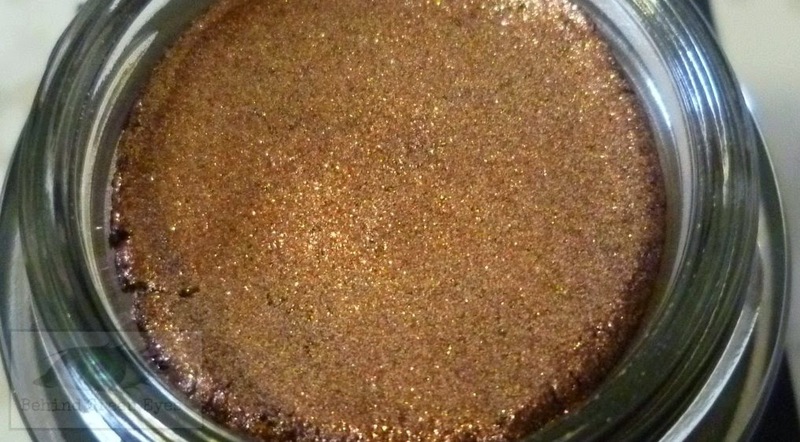 The following picture was taken 8 hours after application. 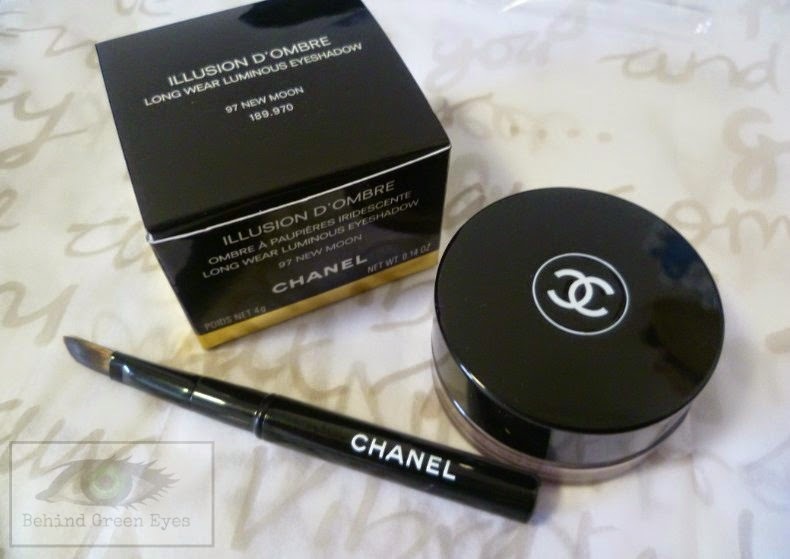 Chanel Illusion d'Ombre costs €30 from Brown Thomas. Nationwide Standard Delivery costs just €3.50, Express Delivery costs €5. Oh that is pretty. I was looking for it the other day but all I could find were the 3 with the new collection & all the staff were busy so I have up & left. Oh that's such a nuisance. I don't know if I'd ever approach a counter, to be honest. I find the high-end ones a bit intimidating! Thank god for online, eh? Thanks Róisín, it definitely doesn't need any other product at all, I really liked how long it lasted, was afraid it would be like their nail polishes and wear after a short time! That is gorgeous! Also, good to know that BT orders are sent by regular post. I was so glad to see it arriving by post, it seems to be a rarity these days - I hate using couriers! 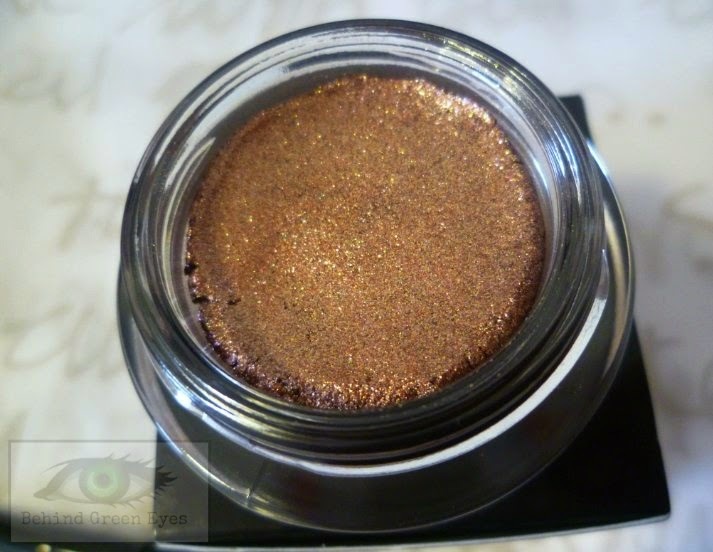 Thank you pet x I've actually edited the post there to say that it's a creamy consistency, it's not pigment at all, it's more like a kinda really pigmented gel type thing? It's so hard to describe! It feels like rubber when I touch it and I didn't think I had any on my finger at all but I had loads, if that makes any kind of sense at all! Oh my, that is just perfection & so stunning with your eyes! Oh I love that! 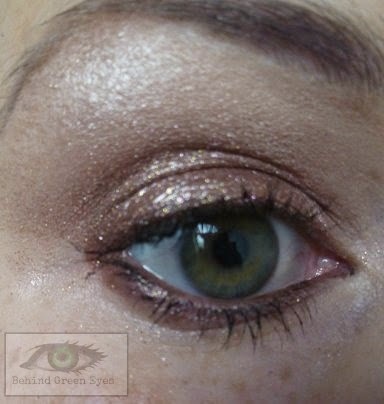 I have a couple of the illusion d'ombres and love the texture too, plus so handy to apply- I use my finger too! That colour is calling to me now..
Looks absolutely amazing! I must admit I do not own any Chanel products (except perfume). Need to change that!